Realtor.com and Homes.com are now displaying “green,” energy-efficient features for real estate listings in the Chicago area. Homes.com denotes energy-efficient features with green leaves on listing detail pages. Studies suggest that if buyers knew their prospective new home could come with lower energy bills and would be better for the environment, they would pay more for that home. Realtor.com and Homes.com are now displaying “green,” energy-efficient features for real estate listings in the Chicago area — a change the local multiple listing service says will help boost the properties’ sale. Lisle, Illinois-based Midwest Real Estate Data LLC (MRED) is the first MLS to send green data to Homes.com through standardized data fields promoted by the National Association of Realtors’ “Green MLS” program. Realtor.com declined to say whether the same was true for its site, but both realtor.com and Homes.com said they receive green data from other MLSs. The data MRED is sending includes items such as whether a home has a tankless hot water heater or a rainwater collection system, as well as whether a property has received a green building certification. Displaying this data on two of the most visited real estate sites on the Web is a win-win for real estate professionals and consumers, according to MRED. The MLS serves more than 40,000 members in northern Illinois, southern Wisconsin and northwest Indiana. “This is a great benefit to our own real estate professionals, but I’m proud that this is also a public service for the many consumers interested in Chicagoland real estate,” said MRED President and CEO Rebecca Jensen in a statement. 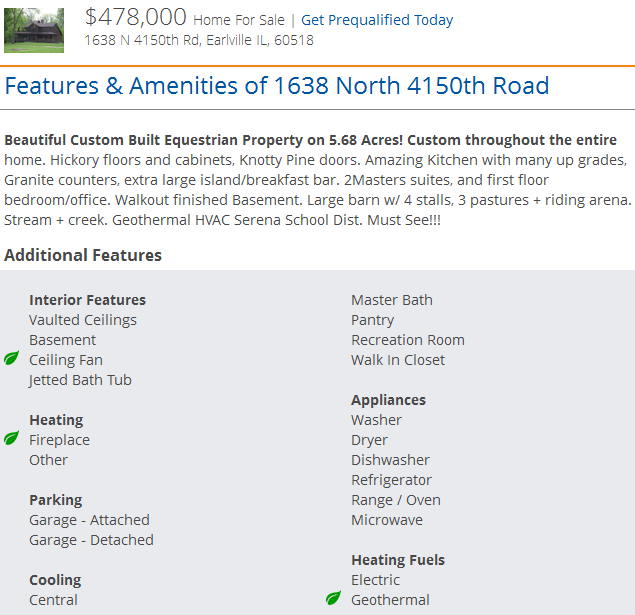 Homes.com denotes energy-efficient features with green leaves on listing detail pages. Realtor.com declined to comment on whether it planned to highlight green features in any way on its listing detail pages. MRED noted that the appearance of these features in a particular listing depends upon whether it’s relevant to that property and if the information is included by the listing agent. The latter might be a problem, though perhaps less in MRED’s coverage area than in others. A recent study in the Washington, D.C., area noted that most listing agents are not actually using the green fields for high-performance homes, potentially leaving money on the table. Studies suggest that if buyers knew their prospective new home could come with lower energy bills and would be better for the environment, they would pay more for that home. One of the studies examined the Chicago market in particular and indicated that homes that disclosed energy costs at the time of listing in MRED’s MLS system sold at a higher percentage of the asking price and stayed on the market for less time. 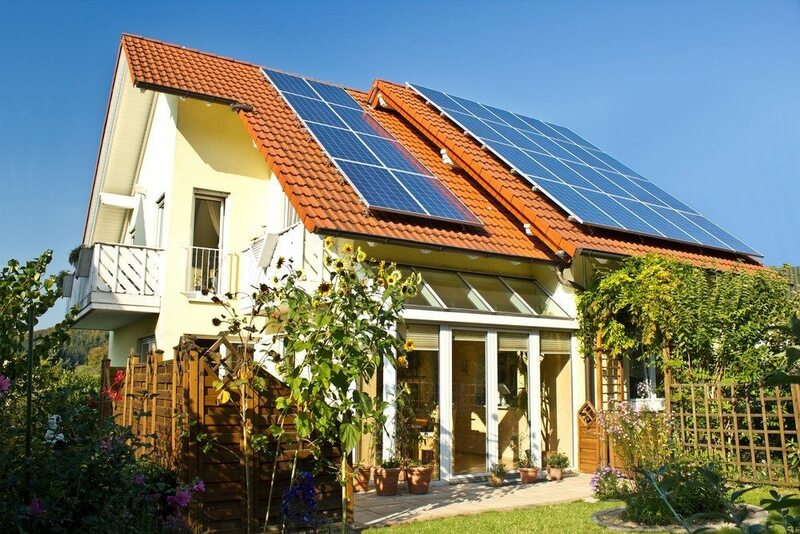 In Chicago, agents are required to comply with an energy cost disclosure ordinance, perhaps making agents there more aware of homes’ green features. Because of the 2013 ordinance, MRED launched an “Energy eCompliance” tool to help listing agents in Chicago provide buyer’s agents and home purchasers with immediate online access to an energy cost disclosure report for a property. Use digital energy cost disclosure fields offered by MRED on all eligible Chicago property listings. Assign an office staff member to oversee training activities on the Energy eCompliance tool. Make energy cost disclosure fields provided by MRED part of the brokerage’s listing process. MRED was an early adopter of green MLS fields and in 2012 added the ability to upload disclosure documents to combat “greenwashing” — exaggerated or unsubstantiated claims about a home’s green features. Homes.com plans to work closely with its partner MLSs to display more green data for consumers through this program, said Andy Woolley, Homes.com’s vice president of industry development, in an email. MRED’s participation in the accelerator will result in even more information available through its MLS system and for distribution to real estate websites, the MLS said. One of the purposes of the accelerator is to identify sources of energy information that are available or could become available for incorporation into the MRED database and then into feeds to websites at broker’s direction, MRED spokesman Jeff Lasky told Inman in an email. The target is “automated, reliable information fed to MLSs,” he said. The current focus is on automating information for field entries already in the MLS, such as LEED, and MRED is also working on automated feeds of new- and existing-home energy performance certifications, Lasky said. MRED is working with its partners in the accelerator to get this eco-friendly data out to as many sites as possible — realtor.com and Homes.com are just the first two, he added. The MLS will be working with local efficiency partners like Elevate Energy or the Midwest Energy Efficiency Alliance (MEEA) or national partners like the U.S. Green Building Council, Lasky said. Does pointing out energy-efficient features help sell homes in your market? Let us know in the comments below.